The idea of a masculine tuberose is fascinating, simply because my own view of tuberose is that of a lush, sweet and coquettish note. While it certainly has an unapologetically seductive facet, most modern tuberose treatments place it squarely in the feminine realm. Vierges et Toreros created by Antoine Lie and Antoine Maisondieu in 2007 for the renegade niche fragrance house Etat Libre d’Orange has set out to work against this stereotype. The idea behind the composition is a tuberose note made virile and masculine, lacking its common “sugar and spice and everything nice” connotations. While the premise is fascinating and intriguing, the composition is somehow less so. 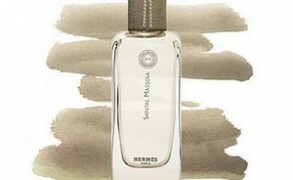 Vierges et Toreros is a competent, well-crafted blend, where the accents fall on the vetiver and animalic notes. If I did not know that it was supposed to offer a different tuberose treatment, I would not have picked it out of the Etat Libre d’Orange lineup for there are certainly more interesting fragrances. The tuberose note unfolds under the brilliant citrus and pepper top note, but the heavy earthy and green notes stamp any life out of it. So what would be some interesting white floral choices for those men who want something different? Serge Lutens Tubéreuse Criminelle with its wintergreen and diesel fuel top note is excellent. The spice dusted jasmine and roses of Agent Provocateur EDP are likewise worth trying. Gucci Rush with its mossy gardenia accord can easily make a transition from pour elle to pour lui. Or be truly macho and wear Robert Piguet Fracas. After all, you don’t really need to prove anything to anyone, do you? Etat Libre d’Orange Vierges et Toreros includes notes of bergamot, orange blossom, cardamom, tuberose, ylang-ylang, nutmeg, pepper, costus, cedarwood, leather, patchouli, vetiver, and animalic notes. Available from Henri Bendels and online from Luckyscent. Grusheczka: I love VeT! I agree that the floral notes take a definite backseat to the spicy, earthy notes in this blend, but I still love it. I love white floral fragrances as well as dirty, animalic ones, and I was happy to discover this perfume combined my favorite elements in one. Victoria: I have a friend who wears it beautifully too. It smells fantastic on her, and she gets lots of compliments. Eric Brandon: I had to look back through my collection to see how many white florals I owned, even with samples. The answer is three (Chanel No 5 Eau Premiere and a mini decant of both OJ’s Champaca and Tubereuse Criminelle). I get comments every so often on TC, much to my surprise, though I don’t wear it often. It’s too hot and, to be honest, I wish the mothball scent never went away. THAT would be neat, I think. I’ve always loved the smell of mothballs. But OJ’s Champaca is great and interesting, with it’s lime and slight tea undertones. And Eau Premiere… though of course it is floral, it doesn’t really read that way to me. Lavanya: I haven’t tried this but it does sound like a lovely idea- pity the fragrance didn’t match up..
Eric Brandon: Oh, I completely agree: perfume is by nature ungendered. Perception makes it so. Similarly, I wear “old lady perfumes” (found some vintage Miss Dior recently that goes nicely in the heat) that I wear proudly because my grandmother’s didn’t wear perfume. I don’t have that association. Thankfully.